digital transformation that you are willing to take. 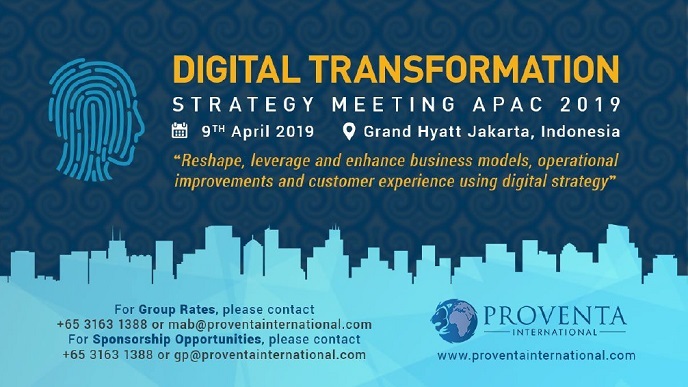 In Southeast Asia, Indonesia has a tremendous potential in digital transformation. It already boasts one of the biggest digital economies in Southeast Asia, worth USD $28 billion, according to a recent Google – Temasek study, and is expected to grow to USD $100 billion over the next seven years. Proventa International is a management consultancy firm that helps organizations address issues, create value, maximize growth, and improve business performance. It is an expert in delivering change. With its global community of industry specialists, Proventa International customizes straightforward solutions for business all over the world.